A quirky-looking axe with some tonal bite. 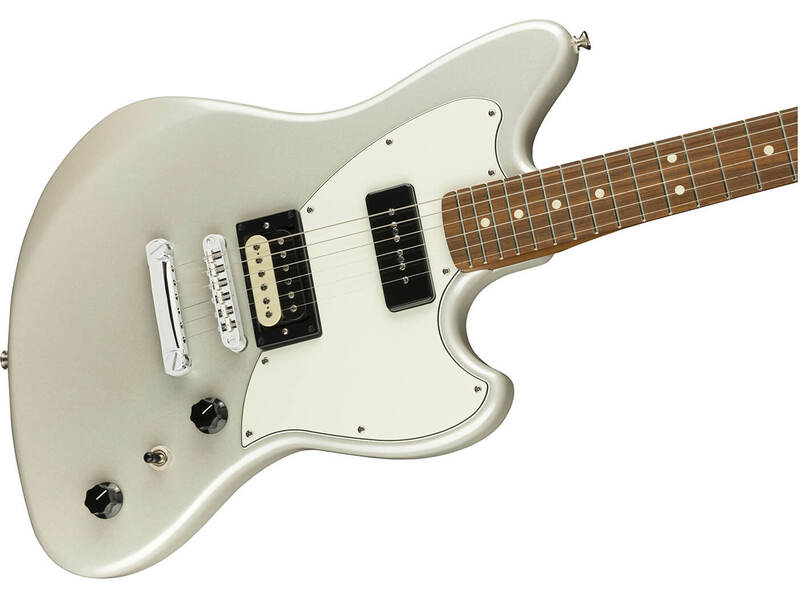 Fender has released the Powercaster, the first axe in its Alternate Reality series. The new line of guitars is similar to last year’s Parallel Universe series. The Powercaster features some bold design elements, especially in the electronics department. The axe is loaded with two pickups: an Atomic humbucker at the bridge and an MP-90 soapbar at the neck. These pups are wired to single master volume and tone knobs, with a three-way pickup selector sitting between the two controls. The Powercaster features a 24.75-inch scale length, an offset alder body, a Modern C roasted maple neck and a 9.5-inch-radius pau ferro fingerboard. It also has a vintage-style Adjusto-matic bridge – with a stop tailpiece – as well as nickel and chrome hardware. Available in Surf Green, White Opal and a Three-Colour Sunburst. Retails at $899.99. More information at fender.com.